I am an Assistant Professor of Computer Science and Robotics at Carnegie Mellon University, and a member of the Center for Nonlinear Analysis; I also advise a team of incredible students in the Geometry Collective. Our work in the emerging field of Discrete Differential Geometry builds fundamental representations for geometric data that are easily understood by machines, yet faithfully capture the way shape behaves in nature. (See our course!) I received my BS from UIUC, was a Google PhD Fellow at Caltech, an NSF Mathematical Sciences Postdoctoral Fellow at Columbia University, and was recently named a Packard Fellow. This paper develops a global variational approach to cutting curved surfaces so that they can be flattened into the plane with low metric distortion. Such cuts are a critical component in a variety of algorithms that seek to parameterize surfaces over flat domains, or fabricate structures from flat materials. Rather than evaluate the quality of a cut solely based on properties of the curve itself (e.g., its length or curvature), we formulate a flow that directly optimizes the distortion induced by cutting and flattening. Notably, we do not have to explicitly parameterize the surface in order to evaluate the cost of a cut, but can instead integrate a simple evolution equation defined on the cut curve itself. We arrive at this flow via a novel application of shape derivatives to the Yamabe equation from conformal geometry. We then develop an Eulerian numerical integrator on triangulated surfaces, which does not restrict cuts to mesh edges and can incorporate user-defined data such as importance or occlusion. The resulting cut curves can be used to drive distortion to arbitrarily low levels, and have a very different character from cuts obtained via purely discrete formulations. We briefly explore potential applications to computational design, as well as connections to space filling curves and the problem of uniform heat distribution. Angle-preserving or conformal surface parameterization has proven to be a powerful tool across applications ranging from geometry processing, to digital manufacturing, to machine learning, yet conformal maps can still suffer from severe area distortion. Cone singularities provide a way to mitigate this distortion, but finding the best configuration of cones is notoriously difficult. This paper develops a strategy that is globally optimal in the sense that it minimizes total area distortion among all possible cone configurations (number, placement, and size) that have no more than a fixed total cone angle. A key insight is that, for the purpose of optimization, one should not work directly with curvature measures (which naturally represent cone configurations), but can instead apply Fenchel-Rockafellar duality to obtain a formulation involving only ordinary functions. The result is a convex optimization problem, which can be solved via a sequence of sparse linear systems easily built from the usual cotangent Laplacian. The method supports user-defined notions of importance, constraints on cone angles (e.g., positive, or within a given range), and sophisticated boundary conditions (e.g., convex, or polygonal). We compare our approach to previous techniques on a variety of challenging models, often achieving dramatically lower distortion, and demonstrating that global optimality leads to extreme robustness in the presence of noise or poor discretization. Developable surfaces are those that can be made by smoothly bending flat pieces without stretching or shearing. We introduce a definition of developability for triangle meshes which exactly captures two key properties of smooth developable surfaces, namely flattenability and presence of straight ruling lines. This definition provides a starting point for algorithms in developable surface modeling—we consider a variational approach that drives a given mesh toward developable pieces separated by regular seam curves. Computation amounts to gradient descent on an energy with support in the vertex star, without the need to explicitly cluster patches or identify seams. We briefly explore applications to developable design and manufacturing. Deployable structures are physical mechanisms that can easily transition between two or more geometric configurations; such structures enable industrial, scientific, and consumer applications at a wide variety of scales. This paper develops novel deployable structures that can approximate a large class of doubly-curved surfaces and are easily actuated from a flat initial state via inflation or gravitational loading. The structures are based on two-dimensional rigid mechanical linkages that implicitly encode the curvature of the target shape via a user-programmable pattern that permits locally isotropic scaling under load. We explicitly characterize the shapes that can be realized by such structures—in particular, we show that they can approximate target surfaces of positive mean curvature and bounded scale distortion relative to a given reference domain. Based on this observation, we develop efficient computational design algorithms for approximating a given input geometry. The resulting designs can be rapidly manufactured via digital fabrication technologies such as laser cutting, CNC milling, or 3D printing. We validate our approach through a series of physical prototypes and present several application case studies, ranging from surgical implants to large-scale deployable architecture. 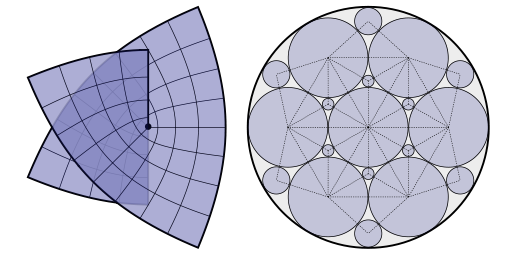 A conformal flattening maps a curved surface to the plane without distorting angles—such maps have become a fundamental building block for problems in geometry processing, numerical simulation, and computational design. Yet existing methods provide little direct control over the shape of the flattened domain, or else demand expensive nonlinear optimization. Boundary first flattening (BFF) is a linear method for conformal parameterization which is faster than traditional linear methods, yet provides control and quality comparable to sophisticated nonlinear schemes. The key insight is that the boundary data for many conformal mapping problems can be efficiently constructed via the Cherrier formula together with a pair of Poincaré-Steklov operators; once the boundary is known, the map can be easily extended over the rest of the domain. Since computation demands only a single factorization of the real Laplace matrix, the amortized cost is about 50x less than any previously published technique for boundary-controlled conformal flattening. As a result, BFF opens the door to real-time editing or fast optimization of high-resolution maps, with direct control over boundary length or angle. We show how this method can be used to construct maps with sharp corners, cone singularities, minimal area distortion, and uniformization over the unit disk; we also demonstrate for the first time how a surface can be conformally flattened directly onto any given target shape. The emerging field of discrete differential geometry (DDG) studies discrete analogues of smooth geometric objects, providing an essential link between analytical descriptions and computation. In recent years it has unearthed a rich variety of new perspectives on applied problems in computational anatomy/biology, computational mechanics, industrial design, computational architecture, and digital geometry processing at large. 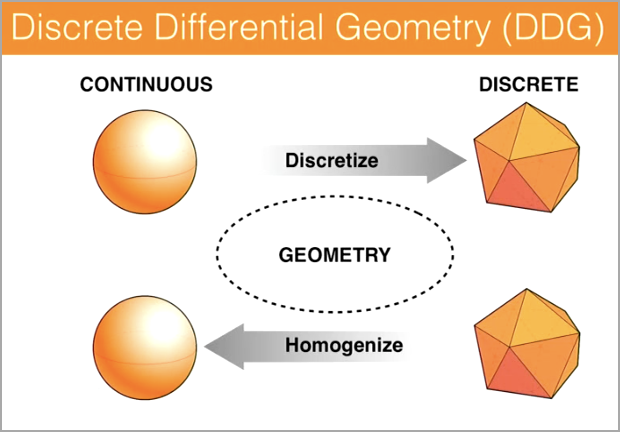 The basic philosophy of discrete differential geometry is that a discrete object like a polyhedron is not merely an approximation of a smooth one, but rather a differential geometric object in its own right. In contrast to traditional numerical analysis which focuses on eliminating approximation error in the limit of refinement (e.g., by taking smaller and smaller finite differences), DDG places an emphasis on the so-called “mimetic” viewpoint, where key properties of a system are preserved exactly, independent of how large or small the elements of a mesh might be. Just as algorithms for simulating mechanical systems might seek to exactly preserve physical invariants such as total energy or momentum, structure-preserving models of discrete geometry seek to exactly preserve global geometric invariants such as total curvature. More broadly, DDG focuses on the discretization of objects that do not naturally fall under the umbrella of traditional numerical analysis. This article provides an overview of some of the themes in DDG. Creating mathematical diagrams is essential for both developing one’s intuition and conveying it to others. 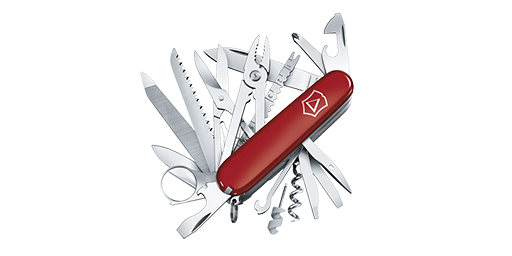 However, formalizing diagrams in most general-purpose tools requires painstaking low-level manipulation of shapes and positions. We report on early work on PENROSE, a system we are building to automatically visualize mathematics from notation. PENROSE comprises two languages: SUBSTANCE, a domain-specific language that mimics the declarativeness of mathematical notation, and STYLE, a styling language that concisely specifies the visual semantics of the notation. Our system can automatically visualize set theory expressions with user-defined styles, and it can visualize abstract definitions of functions by producing concrete examples. We plan to extend the system to more domains of math. In science, a well-chosen illustration can turn bafflement into enlightenment. Yet technical exposition remains largely textual, due to the tremendous expertise required to produce high-quality figures. We propose PENROSE, a system to automatically generate professional-quality mathematical illustrations from high-level, purely semantic descriptions of mathematical objects. Unlike low-level tools where diagrams are specified via graphical primitives, a mathematically-inclined user should not require any graphic design skill to create beautiful diagrams. PENROSE comprises two extensible domain-specific languages (DSLs): SUBSTANCE, which diagrammers use to specify mathematical objects and relationships, and STYLE, which implementers use to encode various ways of realizing these relationships visually, akin to the separation of content and style in modern HTML/CSS. To compile diagrams, we are developing a sophisticated constraint solver incorporating techniques from optimization and computer graphics. Telescoping structures are valuable for a variety of applications where mechanisms must be compact in size and yet easily deployed. So far, however, there has been no systematic study of the types of shapes that can be modeled by telescoping structures, nor practical tools for telescopic design. We present a novel geometric characterization of telescoping curves, and explore how free-form surfaces can be approximated by networks of such curves. In particular we consider piecewise helical space curves with torsional impulses, which significantly generalize the linear telescopes found in typical engineering designs. Based on this principle we develop a system for computational design and fabrication which allows users to explore the space of telescoping structures; inputs to our system include user sketches or arbitrary meshes, which are then converted to a curve skeleton. We prototype applications in animation, fabrication, and robotics, using our system to design a variety of both simulated and fabricated examples. We present a computational method for interactive 3D design and rationalization of surfaces via auxetic materials, i.e., flat flexible material that can stretch uniformly up to a certain extent. A key motivation for studying such material is that one can approximate doubly-curved surfaces (such as the sphere) using only flat pieces, making it attractive for fabrication. We physically realize surfaces by introducing cuts into approximately inextensible material such as sheet metal, plastic, or leather. The cutting pattern is modeled as a regular triangular linkage that yields hexagonal openings of spatially-varying radius when stretched. In the same way that isometry is fundamental to modeling developable surfaces, we leverage conformal geometry to understand auxetic design. In particular, we compute a global conformal map with bounded scale factor to initialize an otherwise intractable nonlinear optimization. We demonstrate that this global approach can handle non-trivial topology and non-local dependencies inherent in auxetic material. Design studies and physical prototypes are used to illustrate a wide range of possible applications. We present a generalization of the bilateral filter that can be applied to feature-preserving smoothing of signals on images, meshes, and other domains within a single unified framework. Our discretization is competitive with state-of-the-art smoothing techniques in terms of both accuracy and speed, is easy to implement, and has parameters that are straightforward to understand. Unlike previous bilateral filters developed for meshes and other irregular domains, our construction reduces exactly to the image bilateral on rectangular domains and comes with a rigorous foundation in both the smooth and discrete settings. These guarantees allow us to construct unconditionally convergent mean-shift schemes that handle a variety of extremely noisy signals. We also apply our framework to geometric edge-preserving effects like feature enhancement and show how it is related to local histogram techniques. This paper presents a formulation of Willmore flow for triangulated surfaces that permits extraordinarily large time steps and naturally preserves the quality of the input mesh. 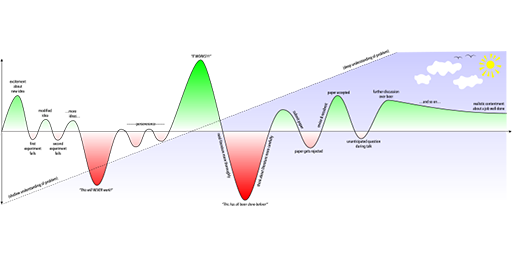 The main insight is that Willmore flow becomes remarkably stable when expressed in curvature space—we develop the precise conditions under which curvature is allowed to evolve. The practical outcome is a highly efficient algorithm that naturally preserves texture and does not require remeshing during the flow. We apply this algorithm to surface fairing, geometric modeling, and construction of constant mean curvature (CMC) surfaces. We also present a new algorithm for length-preserving flow on planar curves, which provides a valuable analogy for the surface case. This paper presents a method for constructing smooth unit n-direction fields (line fields, cross fields, etc.) on surfaces that is an order of magnitude faster than state-of-the-art methods, while still producing fields of equal or better quality. The method is based on a simple quadratic energy whose minimizers are globally optimal in the sense that they produce the smoothest fields over all possible configurations of singularities (number, location, and index). The method is fully automatic and can optionally produce fields aligned with a given guidance field, for example, principal curvature directions. Computationally the smoothest field is found via a sparse eigenvalue problem involving a matrix similar to the cotan-Laplacian. When a guidance field is present, finding the optimal field amounts to solving a single linear Poisson problem. This course provides an introduction to geometry processing using discrete exterior calculus (DEC). DEC provides a simple, flexible, and efficient framework within which one can build a unified platform for geometry processing. The course provides essential mathematical background as well as a large array of real-world examples. It also provides a short survey of the most relevant recent developments in digital geometry processing and discrete differential geometry. This paper introduces a new method for computing conformal transformations of triangle meshes in R3. Conformal maps are desirable in digital geometry processing because they do not exhibit shear, and therefore preserve texture fidelity as well as the quality of the mesh itself. Traditional discretizations consider maps into the complex plane, which are useful only for problems such as surface parameterization and planar shape deformation where the target surface is flat. We instead consider maps into the quaternions, which allows us to work directly with surfaces sitting in R3. In particular, we introduce a quaternionic Dirac operator and use it to develop a novel integrability condition on conformal deformations. Our discretization of this condition results in a sparse linear system that is simple to build and can be used to efficiently edit surfaces by manipulating curvature and boundary data, as demonstrated via several mesh processing applications. Connections provide a way to compare local quantities defined at different points of a geometric space. This thesis develops a discrete theory of connections that naturally leads to practical, efficient numerical algorithms for geometry processing, including texture synthesis and quadrilateral remeshing. Our formulation is motivated by real-world applications where meshes may be noisy or coarsely discretized. Further, because our discrete framework closely parallels the smooth theory, we can draw upon a huge wealth of existing knowledge to develop and interpret mesh processing algorithms. The solutions we produce are globally optimal in the sense that they describe the trivial connection closest to Levi-Civita among all solutions with the prescribed set of singularities. Relative to previous methods our algorithm is surprisingly simple, and can be implemented using standard operations from mesh processing and linear algebra. This paper is concerned with the animation and control of vehicles with complex dynamics such as helicopters, boats, and cars. Motivated by recent developments in discrete geometric mechanics we develop a general framework for integrating the dynamics of holonomic and nonholonomic vehicles by preserving their state-space geometry and motion invariants. We demonstrate that the resulting integration schemes are superior to standard methods in numerical robustness and efficiency, and can be applied to many types of vehicles. In addition, we show how to use this framework in an optimal control setting to automatically compute accurate and realistic motions for arbitrary user-specified constraints. Numerical viscosity has long been a problem in fluid animation. Existing methods suffer from intrinsic artificial dissipation and often apply complicated computational mechanisms to combat such effects. Consequently, dissipative behavior cannot be controlled or modeled explicitly in a manner independent of time step size, complicating the use of coarse previews and adaptive time-stepping methods. This paper proposes simple, unconditionally stable, fully Eulerian integration schemes with no numerical viscosity that are capable of maintaining the liveliness of fluid motion without recourse to corrective devices. Pressure and fluxes are solved efficiently and simultaneously in a time-reversible manner on simplicial grids, and the energy is preserved exactly over long time scales in the case of inviscid fluids. These integrators can be viewed as an extension of the classical energy-preserving Harlow-Welch / Crank-Nicolson scheme to simplicial grids. Reference grids are commonly used in design software to help users to judge distances and to understand the orientation of the virtual workspace. 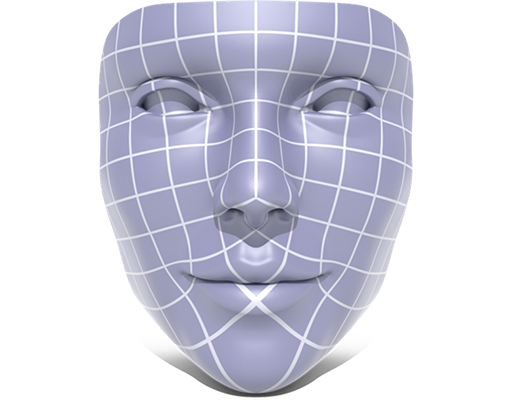 However, despite their ubiquity in 3D graphics authoring applications, little research has gone into important design considerations of the 3D reference grids themselves, which directly impact their usefulness. In an effort to resolve some of these outstanding issues, we have developed two new techniques; the multiscale reference grid and position pegs that form a consistent foundation for presenting relative scale and position information to the user. Our design of a multiscale reference grid consistently subdivides and coalesces gridlines, based on the computation of a closeness metric, while ensuring that there are neither too many nor too few subdivisions. Position pegs extend the grid so that objects that are lying above or below the ground plane can be brought into a common environmental frame of reference without interfering with the grid or object data. We introduce an analytical system, similar to MIP mapping, to provide a stable viewpoint-determined result. Our design solves several depth cue problems in a way that is independent of viewing projection. We capture the shape of moving cloth using a custom set of color markers printed on the surface of the cloth. The output is a sequence of triangle meshes with static connectivity and with detail at the scale of individual markers in both smooth and folded regions. We compute markers' coordinates in space using marker correspondence across multiple synchronized video cameras. Correspondence is determined from color information in small neighborhoods and refined using a novel strain pruning process. Final correspondence does not require neighborhood information. We use a novel data driven hole-filling technique to fill occluded regions. Our results include several challenging examples: a wrinkled shirt sleeve, a dancing pair of pants, and a rag tossed onto a cup. Finally, we demonstrate that cloth capture is reusable by animating a pair of pants using human motion capture data. We present a new method for cloth animation based on data driven synthesis. In contrast to approaches that focus on physical simulation, we animate cloth by manipulating short sequences of existing cloth animation. While our source of data is cloth animation captured using video cameras, the method is equally applicable to simulation data. The approach has benefits in both cases: current cloth capture is limited because small tweaks to the data require filming an entirely new sequence. Likewise, simulation suffers from long computation times and complications such as tangling. In this sketch we create new animations by fitting cloth animation to human motion capture data, i.e., we drive the cloth with a skeleton. Physically based animation of fluids such as smoke, water, and fire provides some of the most stunning visuals in computer graphics, but has historically been the domain of high-quality offline rendering due to great computational cost. In this chapter we not only show how these effects can be simulated and rendered in real time, but also how they can be seamlessly integrated into real time applications. Many mesh parameterization algorithms have focused on minimizing distortion and utilizing texture area, but few have addressed issues related to processing a signal on the mesh surface. We present an algorithm which partitions a mesh into rectangular charts while preserving a one-to-one texel correspondence across chart boundaries. This mapping permits any computation on the mesh surface which is typically carried out on a regular grid, and prevents seams by ensuring resolution continuity along the boundary. These features are also useful for traditional texture applications such as surface painting where continuity is important. Distortion is comparable to other parameterization schemes, and the rectangular charts yield efficient packing into a texture atlas. We apply this parameterization to texture synthesis, fluid simulation, mesh processing and storage, and locating geodesics. Using the GPU to accelerate ray tracing may seem like a natural choice due to the highly parallel nature of the problem. However, determining the most versatile GPU data structure for scene storage and traversal is a challenge. In this paper, we introduce a new method for quick intersection of triangular meshes on the GPU. The method uses a threaded bounding volume hierarchy built from a geometry image, which can be efficiently traversed and constructed entirely on the GPU. This acceleration scheme is highly competitive with other GPU ray tracing methods, while allowing for both dynamic geometry and an efficient level of detail scheme at no extra cost. Pluto and its satellite Charon regularly occulted or transited each other's disks from 1985 through 1990. The light curves resulting from these events (collectively called "mutual events") have been used to determine albedo maps of Pluto's sub-Charon hemisphere. We now use a data set of four light curves that were obtained in both B and V Johnson filters to construct a two-color map of Pluto's surface. We are able to resolve the central part of Pluto's sub-Charon hemisphere. We find that the dark albedo feature that forms a band below Pluto's equator is comprised of several distinct color units. We detect ratios of V-filter/B-filter normal reflectances ranging from 1.15 to 1.39 on Pluto's sub-Charon hemisphere. BFF —fast interactive tool for surface parameterization, based on boundary first flattening. developable —prototype code for approximating surfaces by developable pieces, based on developability of triangle meshes. libgeodesic —highly optimized library for distance transforms, based on the heat method. stripes —computes evenly-spaced pattern of stripes aligned with a given direction field. Also provides globally optimal fields and editing via trivial connections. fieldgen —fully automatic generation of optimal direction fields on surfaces, with optional curvature alignment. Comb —optimal direction field design with user-specified singularities. Based on our trivial connections paper. SpinXForm —core solver for conformal (i.e., angle-preserving) geometry processing, based on spin transformations. Naturally preserves texture and mesh quality. DGPDEC —unified framework for geometry processing algorithms based on discrete exterior calculus (DEC). 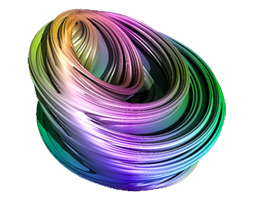 QJulia —fragment shader for real-time rendering of quaternion Julia sets. 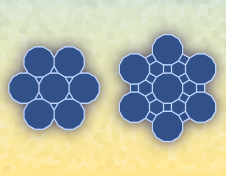 tilings —generates meshes of all the regular and semi-regular tilings of the plane (in Wavefront OBJ format). This thesis introduces fundamental equations and numerical methods for manipulating surfaces in three dimensions via conformal transformations. Conformal transformations are valuable in applications because they naturally preserve the integrity of geometric data. To date, however, there has been no clearly stated and consistent theory of conformal transformations that can be used to develop general-purpose geometry processing algorithms: previous methods for computing conformal maps have been restricted to the flat two-dimensional plane, or other spaces of constant curvature. In contrast, our formulation can be used to produce—for the first time—general surface deformations that are perfectly conformal in the limit of refinement. It is for this reason that we commandeer the title Conformal Geometry Processing. Current and past Geometry Collective members Mark Gillespie and Yousuf Soliman are recipients of the NSF Graduate Research Fellowship; Mina Konakovi&cacute; was named a Schmidt Science Fellow. Congrats to all! I will serve again on the committee for the SIGGRAPH Doctoral Consortium (DC), which is now in its second year. The DC is a highly competitive program for soon-to-graduate PhDs to present their thesis work in front of a panel of experienced SIGGRAPH researchers. I will serve on the program committee for the 2019 Symposium on Geometry Processing (SGP), which will take place in Milan, Italy from July 6-10. The symposium focuses on algorithms and mathematical foundations for processing and analyzing real-world geometric data. I will serve on the technical papers committee for SIGGRAPH Asia 2019, which takes place this November in Brisbane, Australia. I have been named as one of the 2018 Packard Fellows! More info here. I will serve a three-year term on the short courses subcommittee for the American Mathematical Society. I will give a keynote at the biennial Geometry Workshop, which this year takes place in Strobl, Austria from September 2–5 2019. I have been invited to give a talk at the IPAM workshop on Geometric Processing, which takes place at UCLA from April 1–5, 2019. Geometry Collective member Josh Brakensiek has been awarded an NSF Graduate Research Fellowship. Congrats, Josh! I've been invited to give the G. Milton Wing Lectures at University of Rochester in Fall 2018 (final date TBD). I will serve on the very first committee for the SIGGRAPH Doctoral Consortium. The committee will select approximately eight PhD students to meet and discuss their work with each other and a panel of experienced SIGGRAPH researchers in an informal and interactive setting. We've released a super nice implementation of our algorithm for conformal surface parameterization. Give it a try! Two members of the Geometry Collective will be recognized in the upcoming 2018 CRA Undergraduate Researcher Awards: Josh Brakensiek and Yousuf Soliman. Congrats guys! I will serve on the program committee for the 2018 Symposium on Geometry Processing (SGP), which will take place in Paris, France from July 7-11. The symposium focuses on algorithms and mathematical foundations for processing real-world geometric data. I have joined the editorial board of ACM Transactions on Graphics. 90.5 WESA did a short piece about our work on designing telescoping structures. I am organizing a short course on discrete differential geometry (DDG) for the 2018 Joint Mathematics Meeting in San Diego, CA. More details here. Geometry Collective member Joshua Brakensiek placed in the top-5 individual scorers in the Putnam Mathematics Competition, also helping the CMU team to win first place. Congrats, Josh! 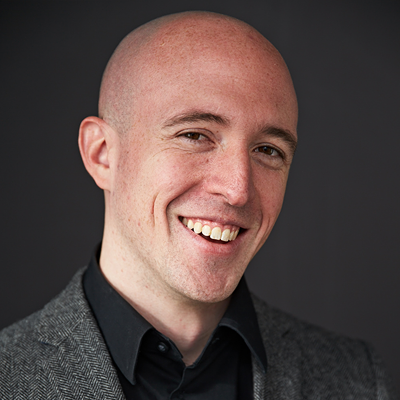 Etienne Corman will join the Geometry Collective next year as a postdoc; he is currently finishing up his PhD in Applied Mathematics at Ecole Polytechnique. Welcome Etienne! We've received some press coverage about our recent work with auxetic materials and discrete conformal maps in places like WIRED, NSF Science Now and TechCrunch, and The Weather Channel. I've accepted an invitation to speak at a workshop on computational geometry and topology at the Foundations of Computational Mathematics (FoCM'17) conference in Barcelona. I have been invited to give a keynote at the Symposium on Geometry and Computational Design at TU Vienna on November 18, 2016. The symposium focuses on recent developments in geometry, computer graphics, computational design and architectural engineering. My graduate student Nick Sharp won a NSF Graduate Research Fellowship, one of the most competitive and prestigious awards for students at the beginning of their PhD. Congrats, Nick! Our work on building curved surfaces from flat materials that uniformly shrink or expand has been conditionally accepted to SIGGRAPH 2016. More info to come. I have been invited to speak at an ICERM workshop on Illustrating Mathematics, from June 27–July 1. The goal of this conference is to bring together mathematicians from a range of fields, and practitioners from the digital arts. I will serve on the technical papers committee for SIGGRAPH 2016, which will take place in Anaheim, California. SIGGRAPH is the premiere international conference for computer graphics and interactive techniques. A brief interview about our SIGGRAPH paper on stripe patterns was recently featured on the Columbia University CS home page, together with all the great recent work from the Columbia Computer Graphics Group. Our very cool ceramic, 3D printed “topology joke” was featured on 3DPrint.com; this work will also appear in Henry's upcoming pop-math book, and can be printed via Shapeways. Our paper on stripe patterns will appear on the cover of the proceedings for SIGGRAPH 2015. I will speak about applications of line bundles in geometry processing at the Tristate Workshop on Imaging and Graphics. I will participate in the Mathematical Imaging and Surface Processing workshop at the Mathematisches Forschungsinstitut Oberwolfach in January 2016. On March 10th, I will speak at a workshop at TU Berlin, on the occasion of Ulrich Pinkall’s 60th birthday. I will participate in the Computational Geometric and Algebraic Topology workshop at the Mathematisches Forschungsinstitut Oberwolfach in October 2015. I will serve on the technical papers committee for SIGGRAPH 2015, which will take place in Los Angeles, California. SIGGRAPH is the premiere international conference for computer graphics and interactive techniques. I will participate in the International Geometry Workshop in Seggau, Austria, from July 10-12. I will serve on the program committee for the 2015 Symposium on Geometry Processing (SGP), which will take place in Graz, Austria from July 6-8. The symposium focuses on algorithms and mathematical foundations for processing real-world geometric data. I will participate in the Discrete Differential Geometry workshop at the Mathematisches Forschungsinstitut Oberwolfach in March 2015. I will serve on the technical papers committee for SIGGRAPH Asia 2014, which takes place this year in Shenzhen, China. SIGGRAPH is the premiere international conference for computer graphics and interactive techniques. I have accepted a tenure-track position in the Computer Science Department and Robotics Institute at Carnegie Mellon University! Etienne Vouga, Justin Solomon and I will give a tutorial on the many applications of the Laplace-Beltrami operator in geometry processing at the next Symposium on Geometry Processing Graduate School. Dana Mackenzie wrote a nice article on our work for the Scientific American blog. I will serve on the program committee for the 2014 Symposium on Geometry Processing (SGP), which will be held in Cardiff, Wales. The symposium focuses on algorithms and mathematical foundations for processing real-world geometric data. I have been invited to present our work on direction fields at the International Geometry Workshop in Strobl, Austria. I officially completed my PhD on June 14th—see my dissertation on Conformal Geometry Processing. I have been selected to participate in the inaugural Heidelberg Laureate Forum, where I will meet with Abel, Fields and Turing Laureates. I will lecture about geometry processing and exterior calculus at the Syposium on Geometry Processing Graduate School, in Genoa, Italy. See the full schedule here. I will present three papers and a course at SIGGRAPH 2013! SIGGRAPH is the premiere annual conference on computer graphics, and takes place this year in Anaheim, CA. See abstracts below. The National Science Foundation has graciously awarded me a Mathematical Sciences Postdoctoral Research Fellowship! The host for the fellowship will be Eitan Grinspun at Columbia University. I will serve on the program committee for the 2013 Symposium on Geometry Processing (SGP), which will be held in Genoa, Italy. The symposium focuses on mathematical foundations and practical algorithms for processing real-world geometric data. The Caltech course on discrete differential geometry returns once again this fall—see all the exciting new developments on our course blog! I will serve on the program committee for the 2013 Conference on Computer Vision and Pattern Recognition (CVPR), which is the premier annual event for academics and industry researchers in computer vision. This year the event will be held in Portland, Oregon. I will lecture on curvature flow at this year's Symposium on Geometry Processing Graduate School. Our work on vector field design and subsequent collaboration with Digital Domain will be featured on NPR's All Things Considered. Listen to a more in-depth discussion of these ideas here. Added a couple new models to the 3D model repository. I will participate in a special workshop on Discrete Differential Geometry (DDG) co-located with the Symposium on Computational Geometry (SoCG), giving a talk entitled "Curves without Stretching, Surfaces without Shearing: Manipulating Geometry via Extrinsic Curvature." I am working on some exciting new material for the discrete differential geometry (DDG) course at Caltech.